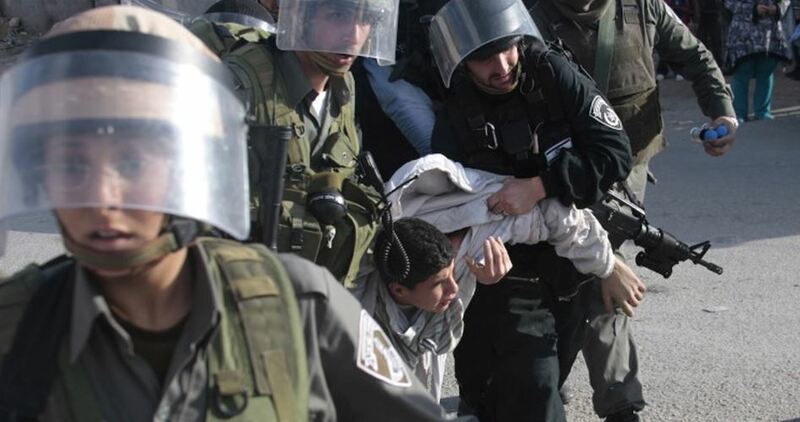 Defence Children International Palestine (DCIP) documented, in a statement issued Thursday, the use of administrative detention against 19 Palestinian children since the outbreak of Jerusalem Intifada in October 2015. Six of them remain in administrative detention over Facebook posts, including two that have since turned 18 years old, according to the group. Eleven of the children have been released without charge after spending between three and eight months in jail. Two have been charged, convicted, and imprisoned after three months in administrative detention. Prior to October, Israel had not held a Palestinian child from the West Bank under administrative detention since December 2011. Israeli authorities rely on the Emergency Powers Law to authorize the use of administrative detention in Jerusalem. In October 2015, Israel used administrative detention against Palestinian children from East Jerusalem for the first time. Israel has the dubious distinction of being the only country in the world that systematically prosecutes between 500 and 700 children in military courts each year that lack fundamental fair trial rights. International juvenile justice standards, which Israel has obliged itself to implement by ratifying the UN Convention on the Rights of the Child (CRC) in 1991, demand that children should only be deprived of their liberty as a measure of last resort and must not be unlawfully or arbitrarily detained. DCIP considers all persons below the age of 18 to be children in accordance with the CRC. The interrogation lasted one hour, during which he had no parent present or access to legal counsel, according to the statement. On August 7, Ahmad was interrogated again, this time for three hours. Three days later, on August 10, Israeli authorities placed Ahmad under administrative detention for six months. In the same context, a Palestinian rights group has documented the arrest of 2,155 Palestinians children since the outbreak of Jerusalem Intifada. 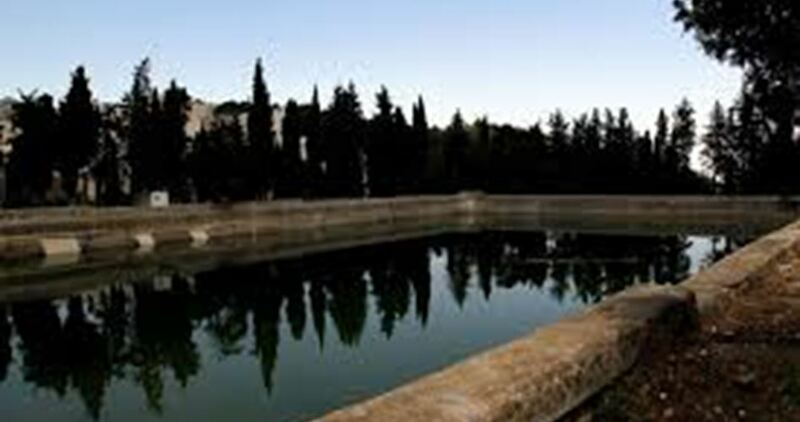 A group of Israeli settlers Thursday morning broke into the historical site of Solomon's Pools south of Bethlehem. Eyewitnesses told PIC reporter that nearly 70 settlers stormed the site in the early morning hours escorted by 15 Israeli soldiers. 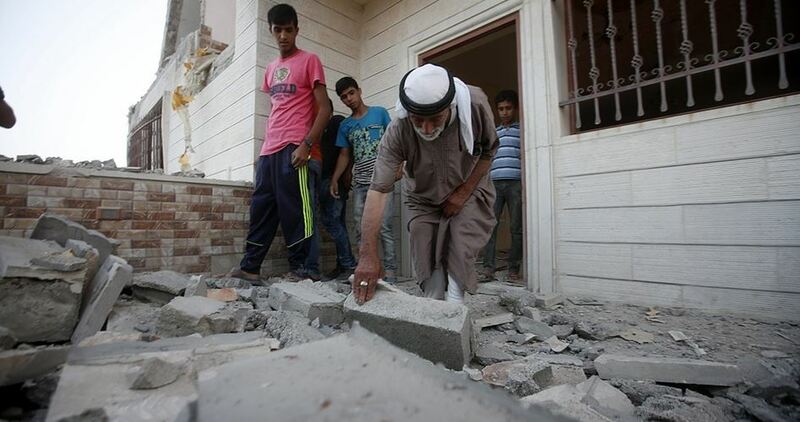 The settlers’ provocative break-in caused a state of tension among the locals, the sources added. Such break-ins into the site has been repeated frequently by settlers under the pretext of performing Talmudic rituals. 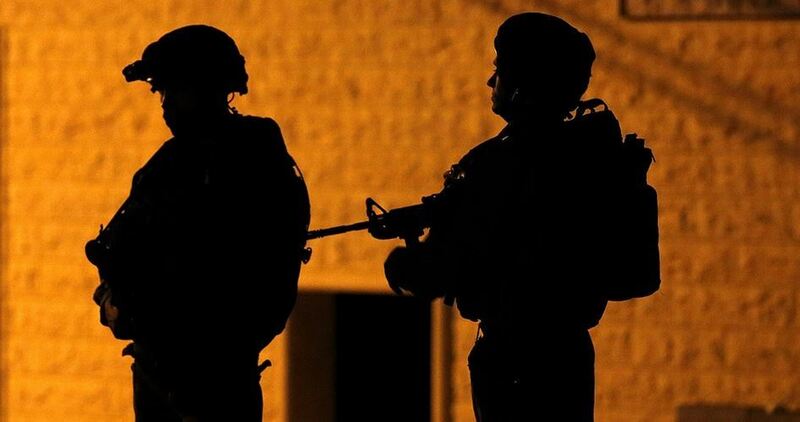 A number of Palestinians were kidnapped by Israeli occupation forces (IOF) from the West Bank at dawn Thursday. Clashes flared up in Nablus after hundreds of Israeli fanatics stormed Joseph’s Tomb to celebrate Jewish holidays. Three Palestinian youths sustained rubber bullet wounds, including one in the eye, after they were attacked by the occupation troops who escorted the Israeli settlers all the way through the break-in. Buses carrying hundreds of other Israeli settlers showed up in the area, sparking clashes with Palestinian anti-occupation youths. The IOF attacked the Palestinian protesters with randomly-shot spates of rubber bullets and teargas canisters. 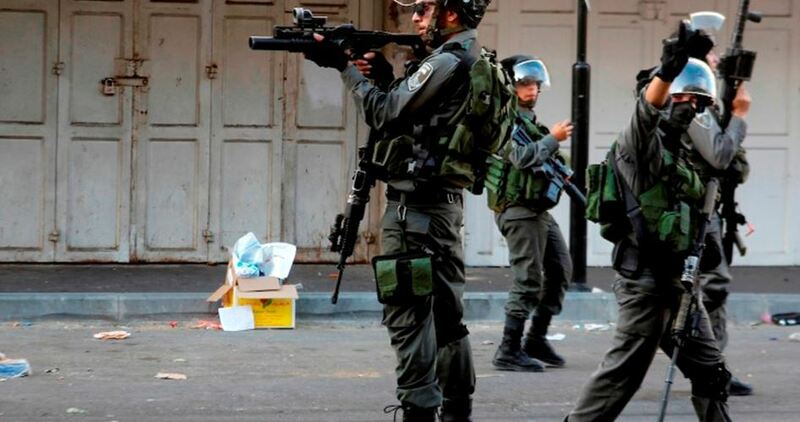 Another IOF patrol stormed Nablus’s eastern town of Qaryout and wreaked havoc on the homes of anti-occupation activists. Member of the local anti-settlement committee, Sadeq al-Qaryouti, said the occupation soldiers broke into his family home and threatened his brother with abduction in case he gets involved in further anti-settlement campaigns. The IOF also stormed the home of the Director of the Qaryout Charity, Muhammad Mardawi, and the head of Qaryout Society, Muayad Salem. The IOF further rolled into Jenin’s town of Qabatiya at the crack of dawn and kidnapped a Palestinian youth, 21, from his own family home. Sounds of heavy gunfire have been detected during the break-in. 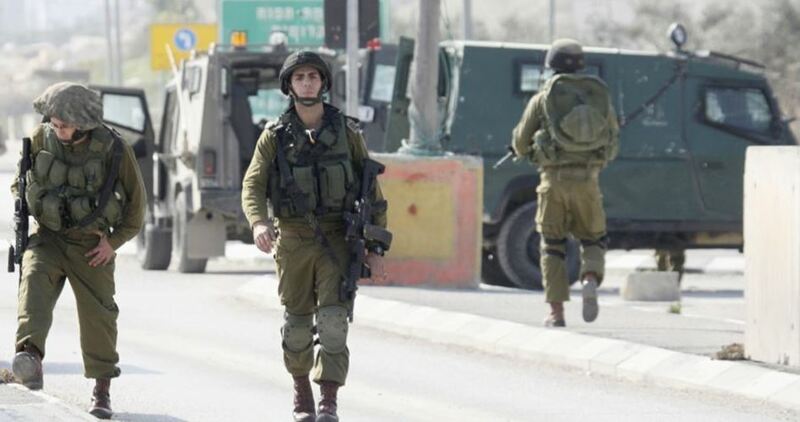 A military checkpoint was pitched by the IOF on the Jenin-Haifa Street near Zabouba town. The IOF further shut down a printing press in al-Ram town under the request of the central region commander on allegations that it attempted to print banners mourning the slain anti-occupation protester Misbah Abu Sbeih. Thousands of Ultra-Orthodox Jews gathered, Wednesday morning, at Buraq plaza, to the west of Al-Aqsa Mosque to celebrate what is called Sukkot, the “Feast of Tabernacles”. By celebrating their rituals, thousands of Jews gave the cold shoulders to UNESCO‘s resolution in which it considered the Al-Aqsa shrine an Islamic site, nullifying a Jewish connection to it. 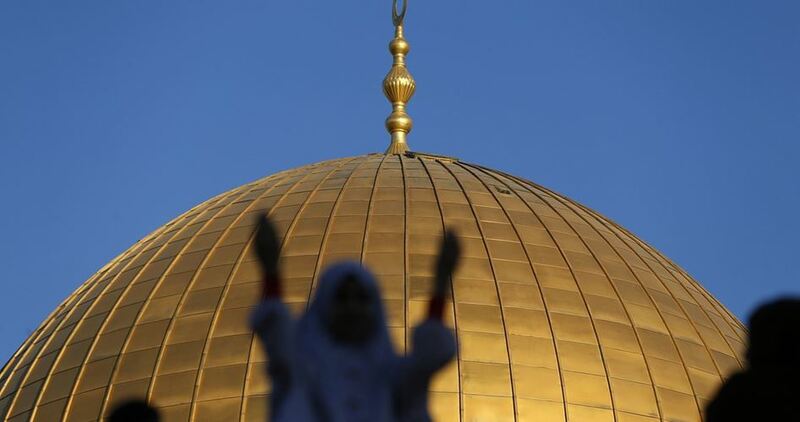 As Sukkot lasts for seven days, the number of Jews coming to the Islamic holy site will increase during the coming hours, according to Al Ray Palestinian Media Agency. Temple Mount and Eretz Yisrael Faithful Movement both announced the organizination of a protest march, Wednesday afternoon, starting at Hebron Gate and heading towards the Old City, in Jerusalem. They will gather at Buraq Plaza, calling for the elimination of the Islamic presence at the site, and establishing the alleged “Temple Mount”. The Palestinian Prime Minister Rami Hamdallah said Tuesday that Israeli authorities demolished since the start of the year 960 Palestinian facilities, most of them were funded by international community. Hamdallah stressed the urgent need for an international intervention to support Palestinian international efforts to end settlement construction and Israeli occupation. Only independence would achieve economic development, he said. He pointed out that Israeli authorities prevent Palestinian construction and economic development in Area C which constitutes 64 % of the West Bank and placed under Israeli control according to Oslo accords. More than 960 Palestinian facilities were demolished since the beginning of 2016. 68 of them were founded by the international community itself, according to Hamdallah. Hamdallah noted that his government plans to reduce dependence on foreign aids by establishing a national electricity company, adopting a new renewable energy law, and reducing taxes. The Israeli Occupation Forces (IOF) stormed Tuesday afternoon a local market in al-Khalil and shut down the commercial shops to allow Israeli settlers’ “safe” passage to the Ibrahimi Mosque. According to the PIC reporter, Israeli soldiers stormed in large numbers the local market and forced the residents to leave the area before closing all the commercial stores. Israeli soldiers heavily fired teargas bombs at the stores’ owners, causing a number of suffocation problems among them. The Israeli restrictions came to pave the way for dozens of settlers from different illegal settlements to celebrate their Jewish holiday in the Ibrahimi Mosque. 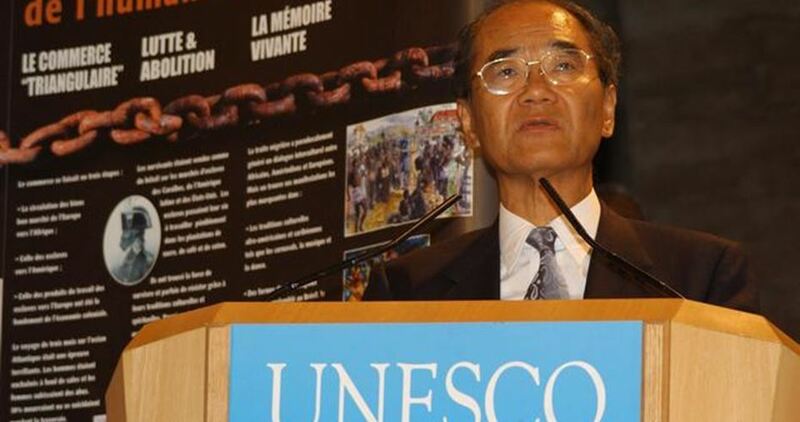 UNESCO adopted Tuesday a final decision that denied any Jewish connection to the Aqsa Mosque compound and the Western Wall (al-Buraq Wall) and their surrounding areas. UNESCO Administrative Committee announced that a new vote would take place on Tuesday on the Jerusalem resolution after Mexico changed its position under Israeli pressures. Haaretz Hebrew newspaper earlier revealed that the Jewish community in Mexico protested against the country’s position in favour of the resolution and exerted pressures on the Mexican government to change its decision. The UNESCO Administrative Committee is expected to hold a new vote Tuesday on Jerusalem resolution that was adopted by the UN agency last week. 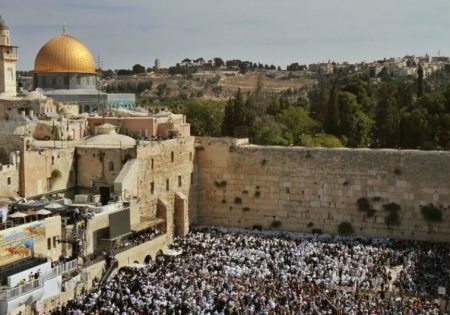 Last Thursday, member states of the UNESCO voted on a draft resolution that denied any Jewish connection to the Aqsa Mosque compound and the Western Wall (al-Buraq Wall) and their surrounding areas. However, Mexico changed its position under Israeli pressures and called for a new vote. Mexico's dramatic decision forces a new vote on the Jerusalem resolution to be held on Tuesday. Haaretz Hebrew newspaper quoted an Israeli official as saying that the Jewish community in Mexico protested against the country’s position and exerted pressures on the Mexican government to change its decision. Similar pressures are being exerted on other member states to change their positions during the new vote session. The Israeli occupation forces (IOF) on Tuesday morning stormed Sebastia town, north of Nablus, and cordoned off the archaeological area and al-Bayader Square as a prelude to the coming of several Jewish settlers aboard buses. Local sources reported that Israeli soldiers prevented any Palestinian from entering al-Bayader area and ordered them to stay away. They added that the Israeli army also deployed troops at the entrance to the town as part of its security measures ahead of the settlers’ visit. Locals have voiced fears that the settlers’ growing visits to the Palestinian archaeological sites in Sebastia could portend intents to take them over.